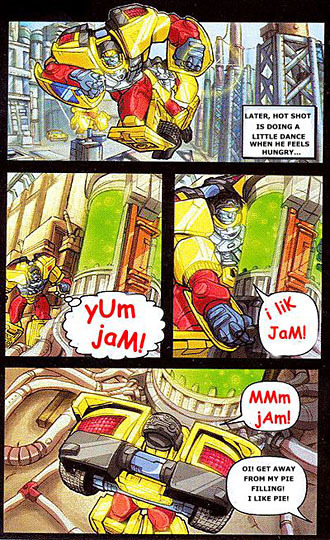 HoT sHot liKs jAM. yuM! Okay, perhaps some explanation is in order. 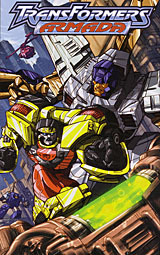 Back in 2002, when the Transformers: Armada cartoon and toyline were just starting, the toys all came with an 8-page mini-comic designed to introduce some of the characters (or something). 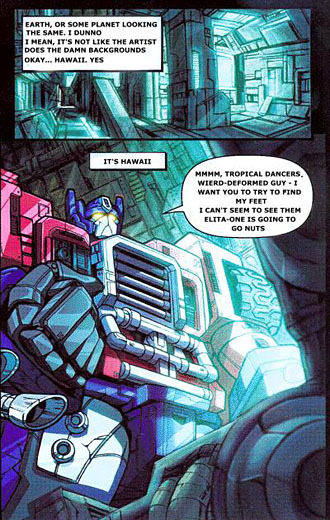 For some reason, Hasbro got it into their heads that if any part of the packaging was tri-lingual, every part had to be - including the comics. 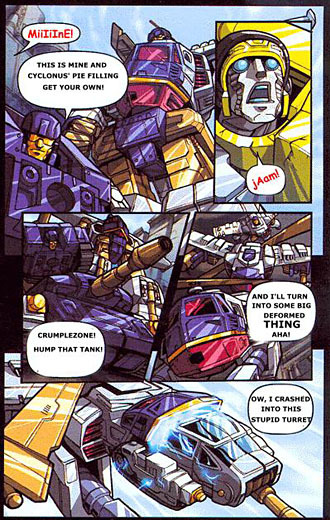 So every bit of dialogue had to be printed three times, and thus we got short, choppy sentences in huge word balloons, repeated three times over. 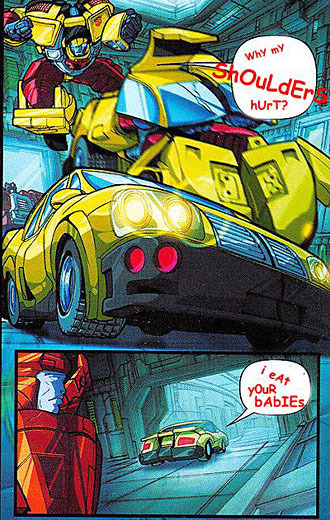 Because of this, a lot of folks found the comic screamingly deficient slightly lacking. 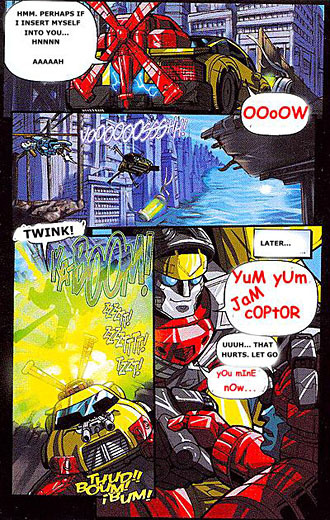 A British fan by the name of "Yartek" took it upon himself to rewrite the story as utter nonsense, filling the balloons with whatever fit. 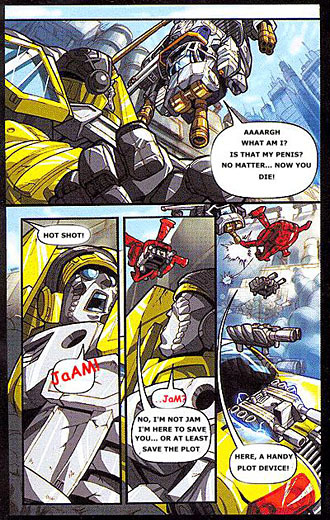 For whatever reason, he decided to turn Hot Shot into a jelly-obsessed retard, screaming his frustrations at the world. Why? Why not, that's why. 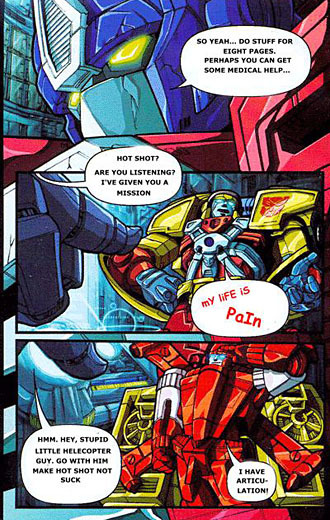 The rewritten mini-comic proved wildly popular and grew to be one of the most persistent memes in Transfandom. 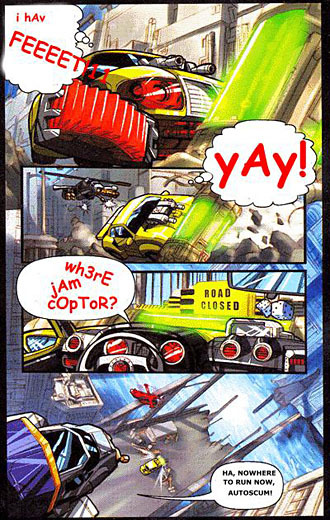 If you're interested in the unadulterated comics, you can read them here. We're not going to mirror those, too.